Changes recommended by the interior secretary include allowing 'active timber management' in the national monument, but it's unclear whether logging would keep visitors away. 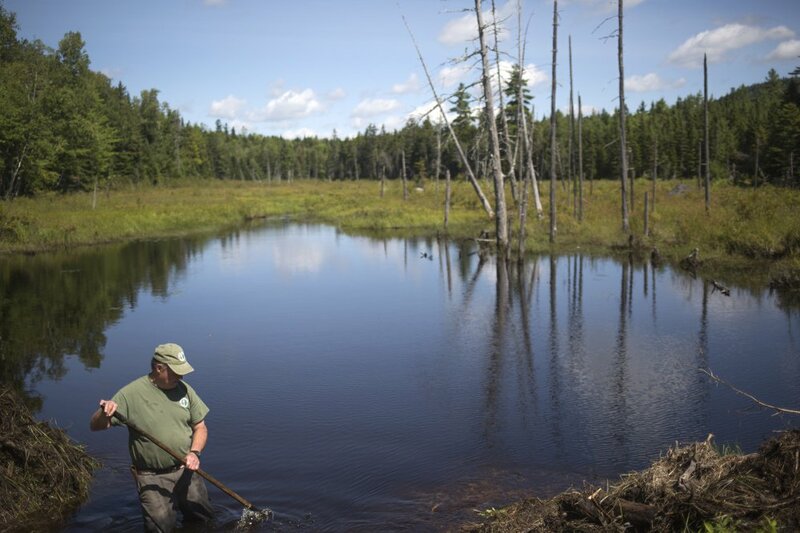 Interior Secretary Ryan Zinke’s recommendation to allow “active timber management” within Katahdin Woods and Waters National Monument is raising new questions about logging on the 87,500-acre swath of federal lands in Maine’s North Woods. In a report sent to the White House last month and leaked to the media over the weekend, Zinke proposed that President Trump use his authority “to promote a healthy forest through active timber management” and to prioritize traditional uses such as hunting and fishing in Katahdin Woods and Waters. The recommendations garnered immediate, and mixed, reactions from individuals and groups involved in the years-long debate over the monument. Several Maine and national conservation groups criticized the vague language and the continuing secrecy over Trump’s review of 27 national monuments created by his predecessors. Groups also expressed concerns about Zinke’s use of “active timber management” – an industry phrase often used in connection with commercial harvesting – and vowed to challenge in court any attempts to conduct commercial-scale logging in Katahdin Woods and Waters. Federal law prohibits commercial wood harvesting on the land, they said. Meanwhile, advocates for hunting, snowmobiling and other “traditional uses” were encouraged by the prospect of expanded access for such activities. 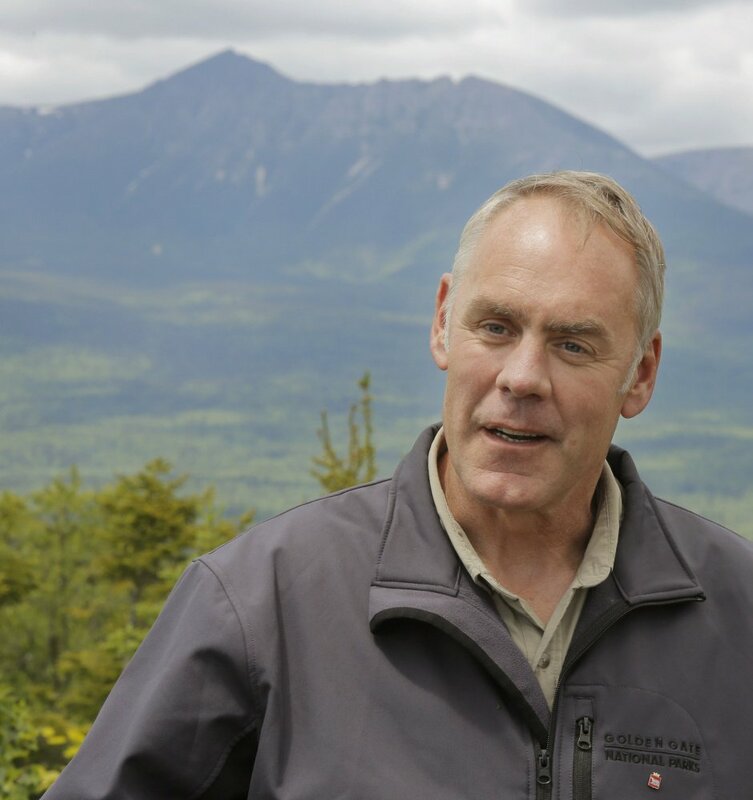 Zinke was widely expected to recommend some timber harvesting at Katahdin Woods and Waters, based on his comments during a June visit to Maine. 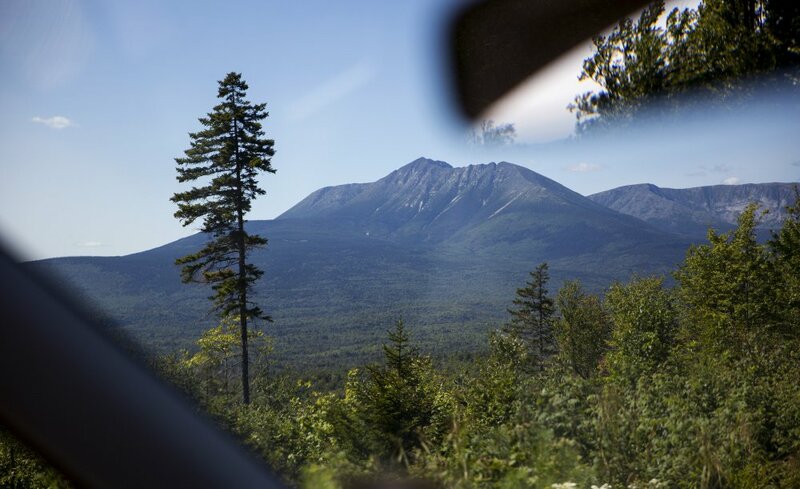 The Katahdin region has been at the heart of Maine’s logging heritage for centuries, and much of the opposition to the monument came from the forest products sector and local residents concerned that a federal presence could further destabilize the industry. 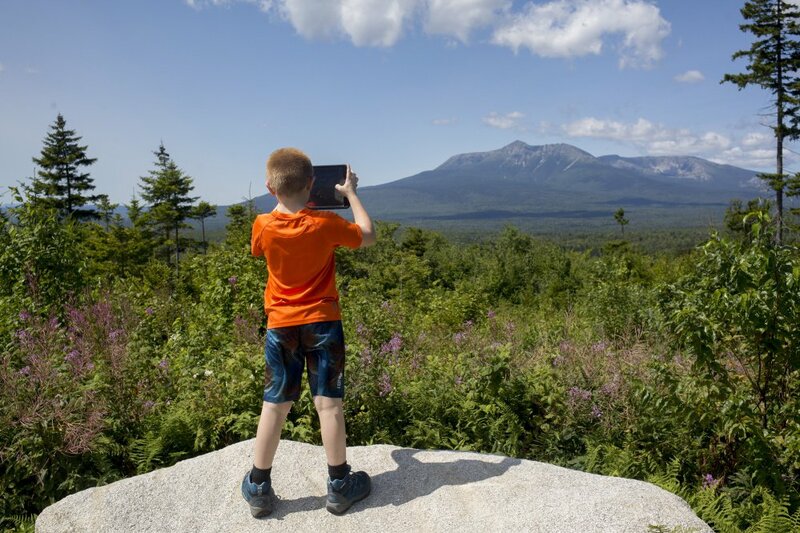 Yet many supporters fear that Trump could undermine a national monument that, one year after its creation, is already drawing visitors and investment to the economically troubled Katahdin region. The leading proponent of the national monument said it remained unclear to him whether Zinke envisioned the type of restricted logging operations already allowed under federal law or more aggressive harvesting. 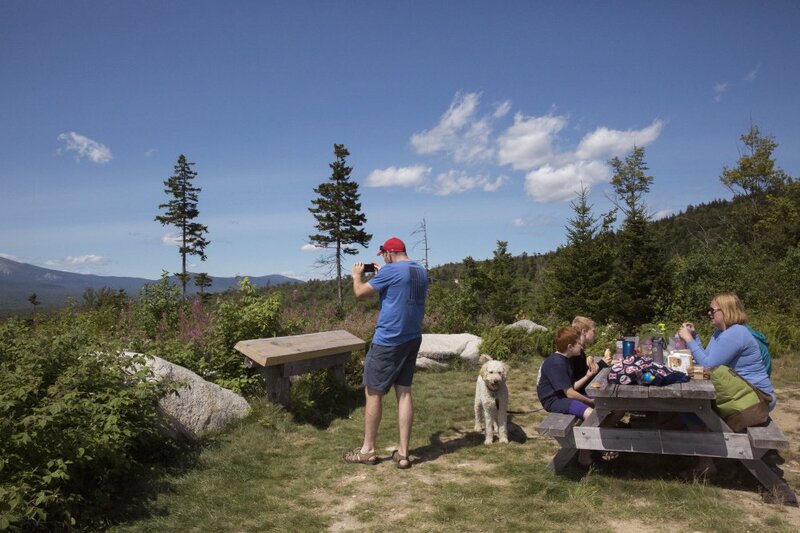 “I’m still waiting for the details,” said Lucas St. Clair, whose mother, conservationist and entrepreneur Roxanne Quimby, donated the land east of Baxter State Park to the National Park Service last year. 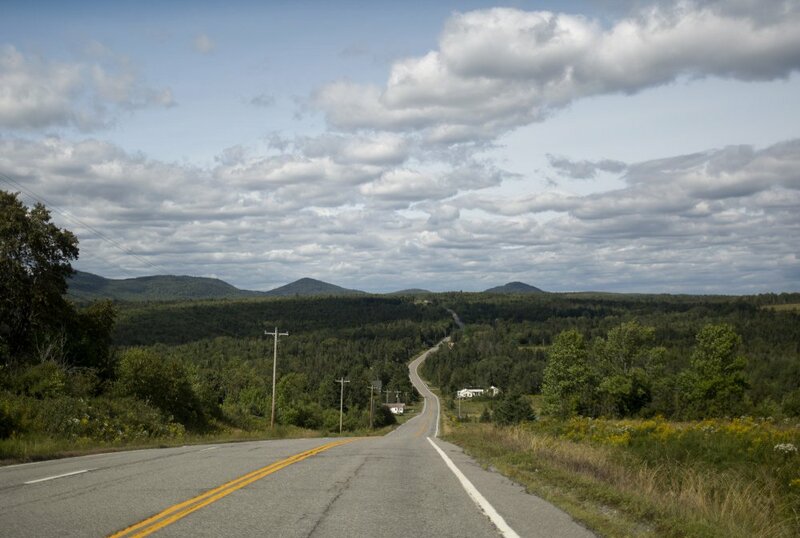 “If there is any frustration for me it’s having to (rehash) something that the community in the Katahdin region has been working through for a long time. 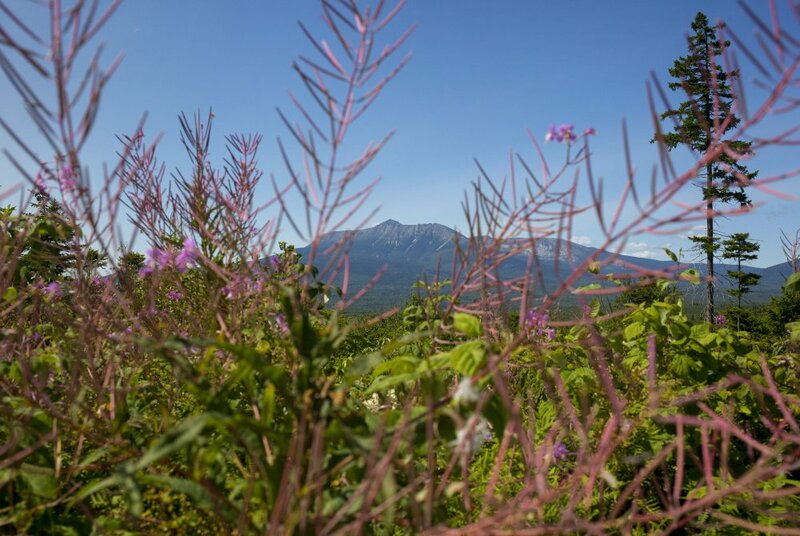 We feel we owe it to the Katahdin region to be decisive and to do everything we can to help the economy and promote the natural resources” in the area. A spokeswoman for the Interior Department did not answer a question about the meaning of “active timber management” and instead referred all queries about the recommendations to the White House. 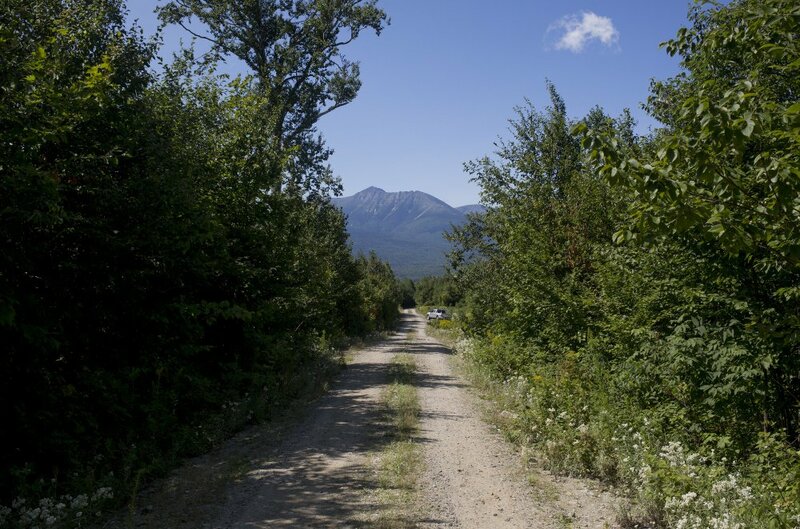 Some Katahdin region residents remain distrustful or resentful of the national monument designation because Quimby prohibited hunting, motorized access and timber harvesting on the land when she first purchased it more than a decade ago. However, Quimby and her nonprofit, Elliotsville Plantation, subsequently relaxed many of those restrictions, and they expressly included those activities in the deeds that transferred the land east of Baxter State Park to the National Park Service last year, although trapping and commercial logging are still prohibited. 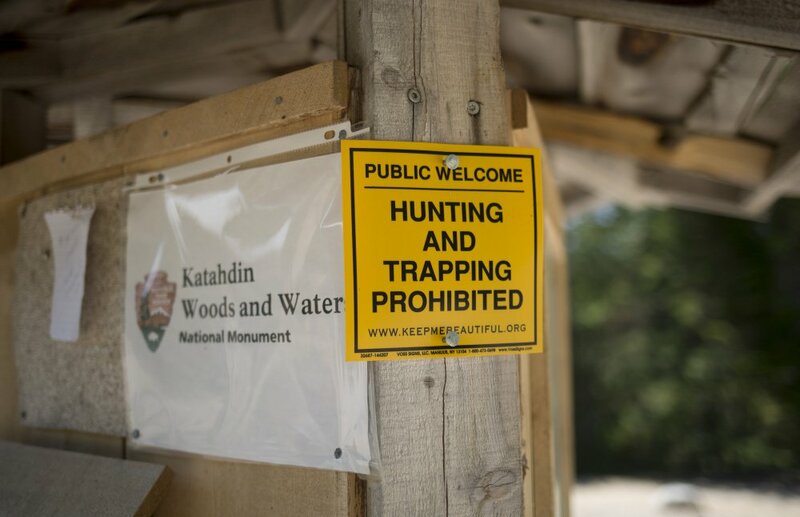 Fishing is allowed throughout Katahdin Woods and Waters, and hunting is allowed on roughly one-quarter of the parcels that make up the national monument. Snowmobiling is permitted along more than 30 miles of trails, but snowmobilers have pushed for access to additional areas. Rep. Bruce Poliquin, R-2nd District, opposed creation of a North Woods national monument and praised Zinke’s recommendations. Although the final decision rests with the president, Zinke proposed changes at 10 of the 27 national monuments that he reviewed after Trump’s April 2016 executive order. According to the draft report obtained by The Washington Post and other media, Zinke recommended shrinking the size of four national monuments – such as Utah’s Bears Ears National Monument – and allowing additional activities in others, including commercial fishing in the Northeast Canyons and Seamounts Marine National Monument off the southern New England coast. Zinke’s recommendation of “active timber management” at Katahdin Woods and Waters received the most scrutiny Monday in Maine. Under federal law, the park service is barred from commercial timber harvesting but is allowed to cut trees “to control the attacks of insects or diseases or otherwise conserve the scenery or the natural or historic objects” in parks or monuments. Brengel, with the National Parks Conservation Association, said any logging within national monuments or parks “has to serve a conservation purpose” under federal law. The phrase “active timber management” suggested more intensive logging inconsistent with the park service’s conservation obligations, she said. Organizations such as the Defenders of Wildlife, the Sierra Club, the Conservation Law Foundation and the Natural Resources Defense Council also were sharply critical of Zinke’s national monument recommendations. 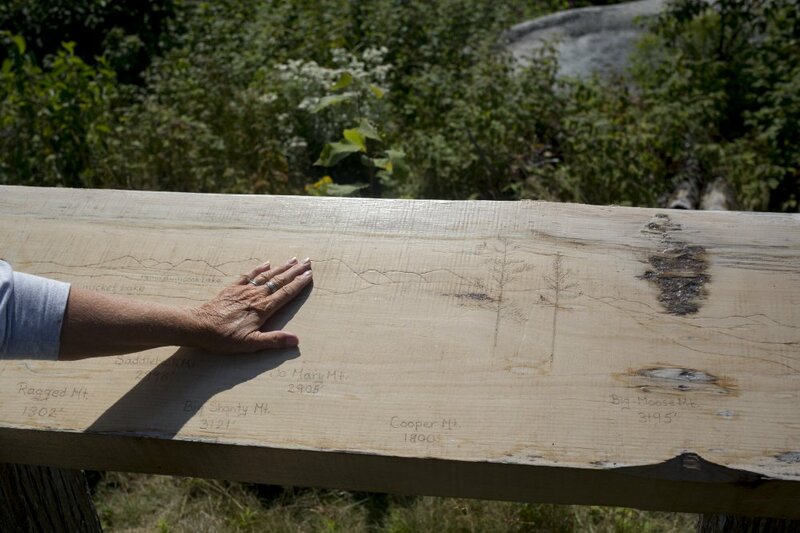 Lisa Pohlmann, executive director of the Natural Resources Council of Maine, said managing timber to “restore a healthy, natural forest” or for education purposes could be consistent with Katahdin Woods and Waters’ purpose. Former President Barack Obama created Katahdin Woods and Waters on the 87,500 acres just east of Baxter State Park in August 2016 after years of heated debate. Quimby’s nonprofit donated the land to the park service along with a $20 million “endowment” and the promise of $20 million more for the monument. But critics, led by Republican Gov. 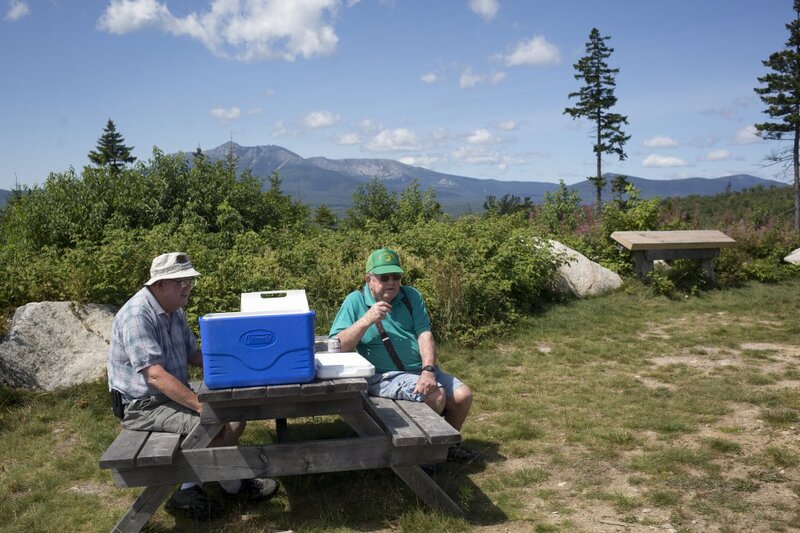 Paul LePage, convinced Trump to include Katahdin Woods and Waters on a list of 27 national monuments under review. Other members of Maine’s congressional delegation had mixed reactions to Zinke’s recommendations. They reflect views of people on all sides of the monument debate, said Sens. Susan Collins and Angus King. Both said they looked forward to reviewing the full report. Longtime monument supporter Rep. Chellie Pingree, D-1st District, said the Trump administration review lacked transparency. St. Clair said the monument needs more staffing – it has just two full-time employees – and resources to succeed.